The Human Resource Department of any organization is not just about executing a recruitment process efficiently or firing employees for small- and medium-level businesses. It also handles critical issues regarding management of human resources and the information system, as each of these key processes significantly contribute to the growth of business as well as the wealth of its shareholders. Although the Human Resources Management System (HRMS) and the Human Resource Information System (HRIS) are considered the same, there is a considerable difference between these two terms. HRMS is a complete package that is used by organizations to manage and track the information on its employees; whereas, HRIS is a database system or a series of databases that are interrelated with each other and are used to track the employee data. HRMS is comparatively more detailed than HRIS. There are three main characteristics of HRMS: the Human Capital Management, Payroll, and Time and Labor Management (TLM). Whereas, the major characteristics of HRIS are Core Human Resources, Recruiting or Applicant Tracking System, Absence Management, Training and Development, Benefit Administration, Compensation Management, Workflow, and Reporting. The Human Resource Management System is mostly used to track the performance of company employees, their training needs, and leaves. It is also used to anticipate employee needs for future recruitments. This system can be taken as an application that manages the human side of HR. HRMS is typically used to evaluate employee satisfaction with the help of survey or data entry forms. In many organizations, it is used to plan performance reviews and to track the concerns or issues that are identified in these reviews. It further provides the estimate of an employee’s progress in tackling those concerns on the basis of subsequent reviews. The Human Resource Information System, on the other hand, tracks the information related to employees in more detail. It not only keeps the updated contact information, a social security number, and withholding tax information of an employee but also maintains latest benefits information, the updated scheduling needs of employees, and attendance for each department. HRIS is also used for computation of healthcare costs of each employee and the turnover rates. The benefits of this system are that it saves time, allows you to focus on managing the production process, planning the company sales, and searching new markets to expand your business. Both of these systems are usually integrated by the organizations. In order to avoid confusion, human resource professionals should focus on the HRMS as a key driver for their HR decisions. For example, it can be used to identify the type of training required by an employee to meet the specific targets that have been defined in a performance review. On the other hand, HRIS can be used to identify the cost of that training and the probable benefits in terms of dollars that an organization is likely to receive. It enables you to decide more carefully, rather than simply assigning an employee to a particular training and learning about its relevant cost later. Therefore, for an improved and better decision-making process, use HRMS as a tool to identify your requirements and then employ HRIS to determine the expected costs and benefits of meeting those requirements. The best human resource application will always contain integrated HRMS and HRIS tasks into a single robust system, as it enables the users to handle all the important HR tasks with a few simple steps and within well-defined parameters. As a result, management of an organization will easily access employee information to make decisions regarding that employee, and it will also save costs by reducing the number of people required to manage human resource operations. Hira Waqar. 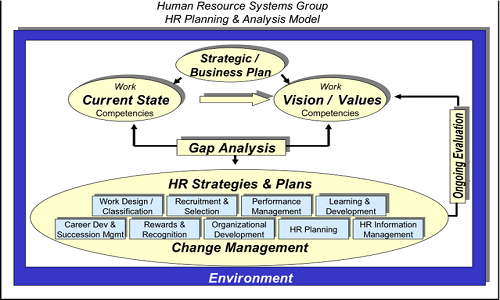 "Differences Between Human Resource Management System and Human Resource Information System." DifferenceBetween.net. September 27, 2017 < http://www.differencebetween.net/business/differences-between-human-resource-management-system-and-human-resource-information-system/ >.